Lived in Sun House, Royston. She was born in the UK and spent her early life in Burma. She returned to England where she trained for a medical career at the Royal Free Hospital in London. She began her medical career in Enfield in 1909. During the First World War, she tended to thousands of patients, many of whom were Belgian refugees. She became maternity doctor at Elizabeth Garrett Anderson Hospital in London. While in Enfield she was appointed medical officer of the Infant Welfare Centre and Anti-Natal Clinics. She moved to Royston in 1938. She became the Divisional Surgeon of the St. John Ambulance Brigade. 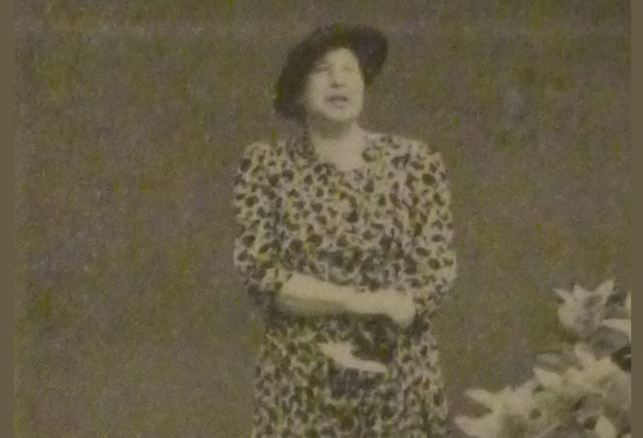 In 1946 she was elected onto the Royston Urban District Council. She polled the second highest number of votes at the time. The whole town of Royston was shocked to learn on Monday afternoon that Dr. Proudlock-Dunbar, of Sun House had suddenly collapsed and passed away. The shock was particularly severe for some Roystonians, since at about 11am she was in the town and had visited one or two establishments. She was apparently in her usual health, but at noon, after being picked up in the car by her husband, she collapsed immediately on reaching home, and on the arrival of a doctor, he could only pronounce life extinct. 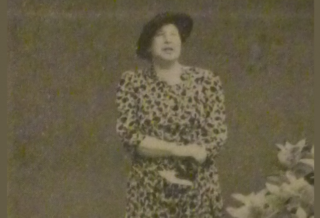 Although Dr Gladys Margaret Campbell Proudlock-Dunbar did not come to reside in Royston until 1938, in that short period she had endeared herself to all the townsfolk. The sweetness and charm of her personality captivated all with whom she came into contact and hosts of Roystonians will mourn the loss of a real friend. Dr Dunbar, who was an M.B., B.S., M.D. (London) was born in this country on October 21st 1882. Her early life was spent in Burma with her parents. She matriculated at an early age and trained for the medical profession at the Royal Free Hospital, London W.C.
She commenced her long career as a medical practitioner at Enfield, Middlesex in 1909, where she built up a large practice. During the first world war, she worked tremendously hard, ministering to thousands of patients, many of whom were Belgian refugees, and in the minds of those nearest to her, the strain of this over-work was responsible for the heart attacks to which she had been subject to recent years. Early in her medical career she showed an active interest in gynaecology, subsequently she became maternity doctor at the Elizabeth Garrett Anderson Hospital, Euston Road, London. Specialising in psychiatry, maternity work and ailments peculiar to women, when setting up as a general practitioner in Enfield, she was appointed medical officer of the Infant Welfare Centre and Anti-Natal Clinics, a position she retained for eighteen years. For ten years she was medical officer for the Mental Deficiency School. In this capacity, she attended all Education Committee and full Council meetings. She was also on the staff and the Committee of the Enfield War memorial Hospital and Medical Officer to the Datchelor Girls School, Camberwell Grove. Dr Dunbar was a Justice of the Peace for the County of Middlesex. Married at Cockfosters Church, Enfield in 1920, Dr Dunbar left Merrowdown, Byeullah Road, Enfield in 1938 and came to reside at Sun House, Royston. Although removed from the rush of London life, to the quiet calm of the country, Dr Dunbar continued her voluntary work. She became the Divisional Surgeon of the St. John Ambulance Brigade and gained for herself merited recognition as a lecturer. She was on the Committee of the Royston and District Hospital before the Health Service became operative, and the Shaftesbury Homes (recently closed) found in her a willing helper. In more recent years, she showed her interest in the Royston Community Association and for the last six years had been president. She also continued her magisterial duties, sitting regularly on the Melbourn and Arrington Bench. In 1946, Dr Dunbar was sought out as a prospective Councillor on the Royston Urban District Council. She was elected, polling 982 votes, second to the then record poll of A. W. Whydale. As a Councillor she portrayed all the grace and charm to which the townsfolk had become accustomed and endeared herself to all those she met around the Council table. The sympathy of the whole of the people will go out to Mr Proudlock-Dunbar and his two gifted daughters who are left to mourn their loss. They have lost a devoted wife and mother whose passing will be a gried also to her many friends and acquaintances at Enfield. From the President, Officers and Members of the Royston Nursing Division of the St. John Ambulance Brigade. This quiet noble lady had a special place in the hearts of the members of the Nursing Division, be they young or old, and her passing is felt deeply by all. Since 1939, Dr Margaret Dunbar has been not only our Divisional Surgeon, but counsellor and friend. Her wide knowledge of human nature and ready understanding, her sympathy for all in need, and her kindly, genial and generous nature endeared her to all who knew her.